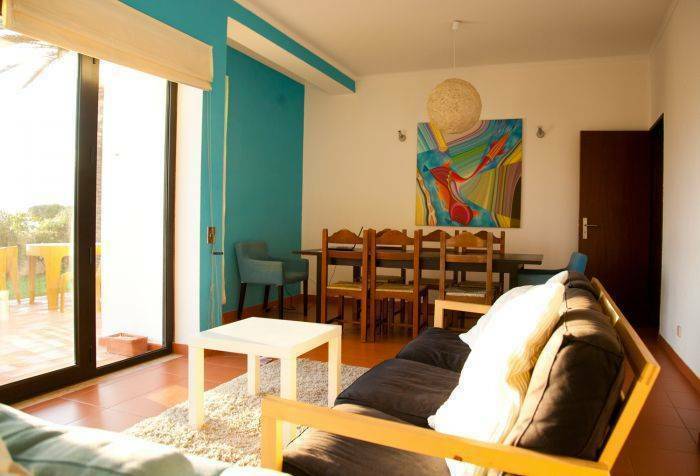 Blue Buddha Hostel is a great beach house in a private condominium in Ericeira. With a common lounge area facing a garden and a wonderful sea view you will fill at home staying with us. Sleep comfortably and do your meals in the hostel guest kitchen as you do at home. We also offer you a nice garden, balcony, free Wi-Fi and cable TV. 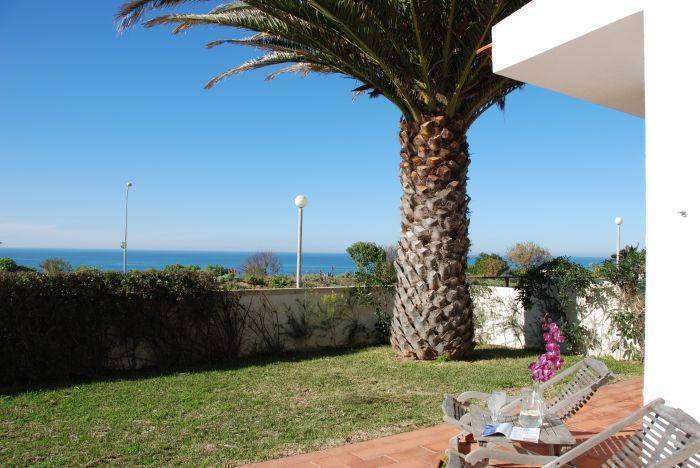 Located in a private Condominium with tennis courts and common swimming pool (summer time) in a short walk from the heart of Ericeira you are welcomed to all shopping facilities, famous restaurants, beaches, surf spots, bars and also the local nightclub. (Open in summer time). 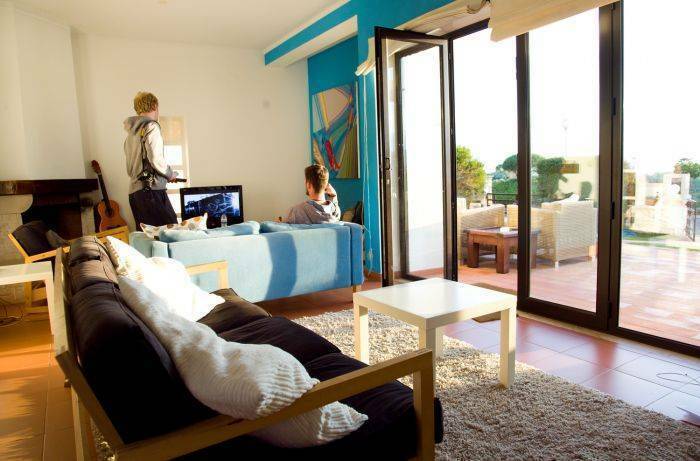 The Blue Buddha Hostel is at the Ericeira World Surf Reserve within easy walking distance to its surf spots (Pedra Branca, Reef, Ribeira de Ilhas) and to the old town center, famous for restaurants, local commerce and surf shops. We can organize for you airport transfer, surf lessons and surf equipment. 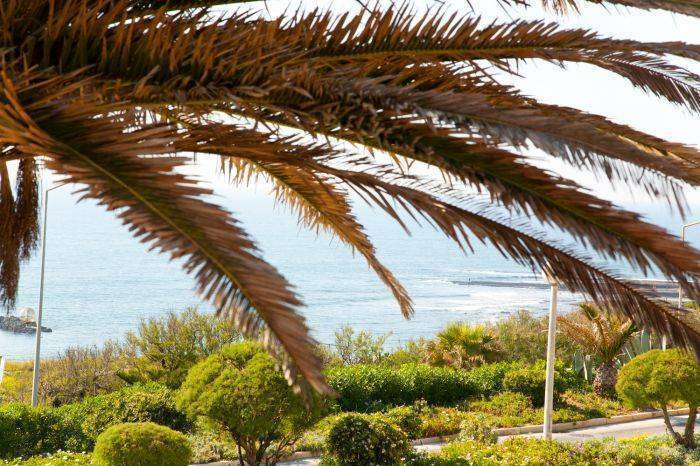 During summer season (usually June the 15th till September the 15th) you can access to the condominium swimming pool (small fee) and also to its tennis courts (small fee). Airport - To Blue Buddha Hostel, 40 Km, which will take you approx. 35/40 min. 1. Coming from A8, from Lisbon direction Leiria exit 5 to A21 direction Malveira / Mafra / Ericeira. 2. Arriving to the end of A21 at the roundabout just after Ericeira toll, take the 4th exit towards center in the sea direction. 3. At the end turn right to S. Sebastião / Ribeira D´Ilhas /Parque de Campismo. 5. 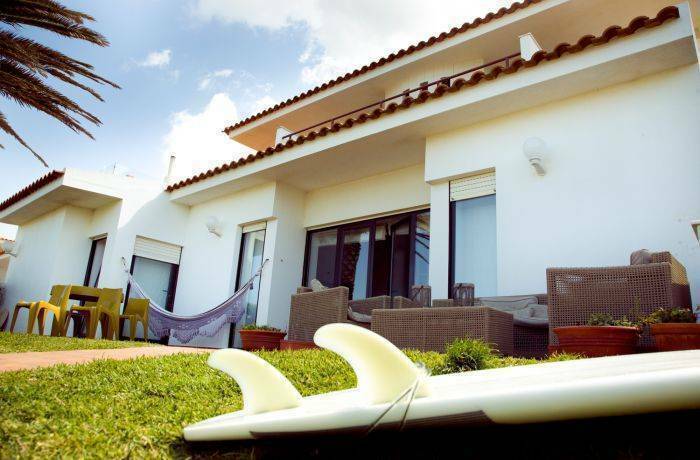 BlueBuddha Hostel is the first condominium house, on your right at Moinhos do Mar condominium. After you get out of the bus station turn to your right walk 10 minutes and after the roundabout and the café turn second right inside Moinhos do Mar condominium with a gate and a doorman. 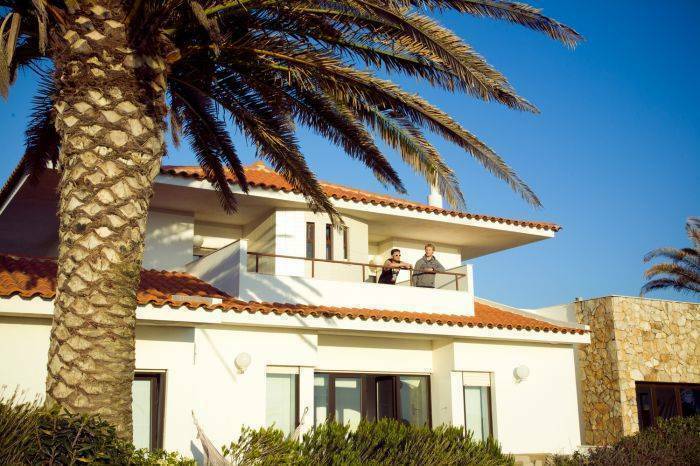 BlueBuddha Hostel is the first condominium house, on your right, just after Moinhos do Mar front entrance.